One of the newest young rappers to hit the scene, Maryland-based Logic accrued a huge internet following with his self-released mixtapes before signing with Def Jam in 2010. After releasing his third studio album, Everybody, in 2017 which catapulted into the number three spot on the Billboard Hot 100, Logic has gone on to drop his sixth mix-tape in March 2018. 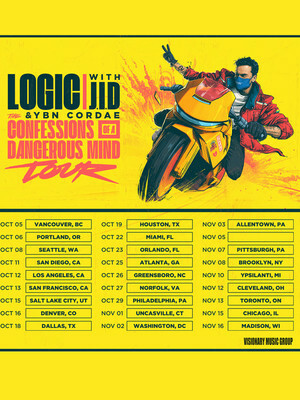 With two massive collections of new tracks, this bright spark is heading out on a brand new tour 'The Bobby Tarantino Vs. Everybody Tour'. 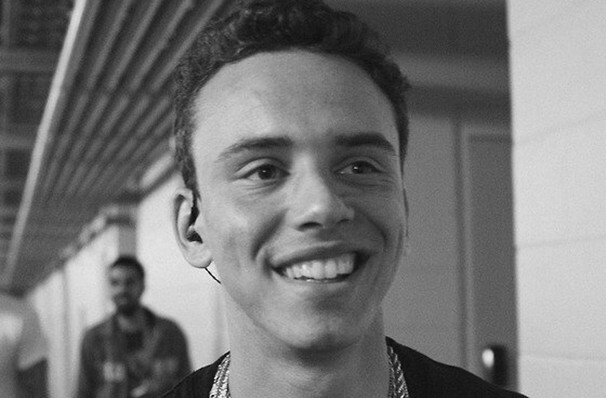 Described as the "new Drake", Logic has already achieved a couple of Grammy nomination for his track 1-800-273-8255 and made his debut Grammy performance at the 60th Grammy Awards. Crediting his love of rap to RZA's work on the Kill Bill soundtrack, Logic also displays a huge love for the work of Frank Sinatra, and credits his classy demeanour to watching old James Bond movies. Sound good to you? Share this page on social media and let your friends know about Logic at Xfinity Theatre. Please note: The term Xfinity Theatre and/or Logic as well as all associated graphics, logos, and/or other trademarks, tradenames or copyrights are the property of the Xfinity Theatre and/or Logic and are used herein for factual descriptive purposes only. We are in no way associated with or authorized by the Xfinity Theatre and/or Logic and neither that entity nor any of its affiliates have licensed or endorsed us to sell tickets, goods and or services in conjunction with their events.